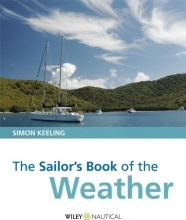 Introduces the principles that influence the weather and gives sailors the tools to forecast from observations. This book includes illustrations to explain concepts and photographs to show weather systems in action. It contains an appendix which provides practice charts for readers to develop their skills. Why the Sailors Book of the Weather? The Structure of the Atmosphere. Physical Changes Affecting the Weather. The Rise and Fall of an Air Parcel: Stability. Plotted Weather Charts and Forecasting. DIY Forecasting from the Charts. The Whisper of the Winds. Where to Get Weather Information. Further Learning at Weather School. Appendix: Charts for You to Draw.